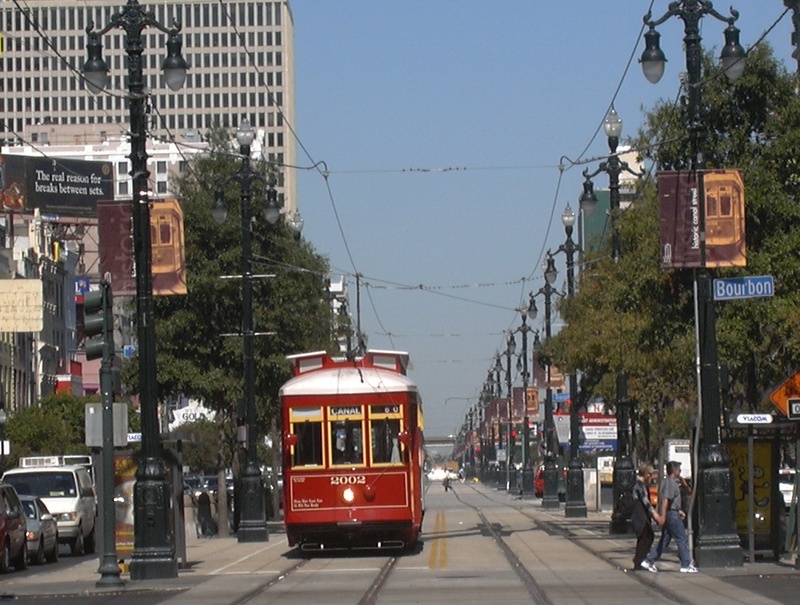 New Orleans, Louisiana — Just a bit over a month since this city’s Regional Transit Authority (RTA) opened its brand-new Loyola streetcar line, the RTA has revved up its plans for yet another new line, this one along historic North Ramparts St. and St. Claude Avenue. 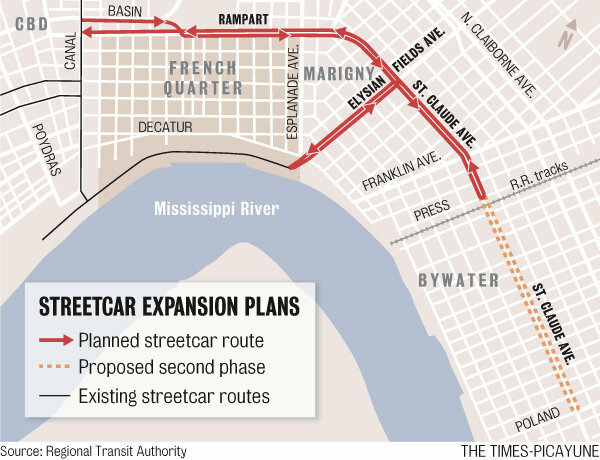 The new streetcar line would extend about 1.5 miles from busy Canal St. to Elysian Fields Ave. Originally the plan was to include a 1/2-mile spur down Elysian Fields, but evidently cost constraints have forced RTA to put the spur line on hold. 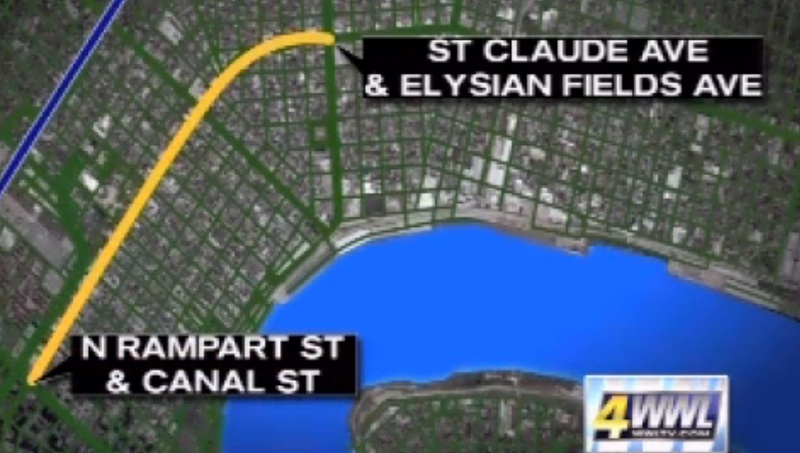 The cost for the entire N. Ramparts-St. Claude-Elysian Fields project was estimated at $115 million in 2011, or about $121 million in 2013 dollars (roughly $45 million/mile). 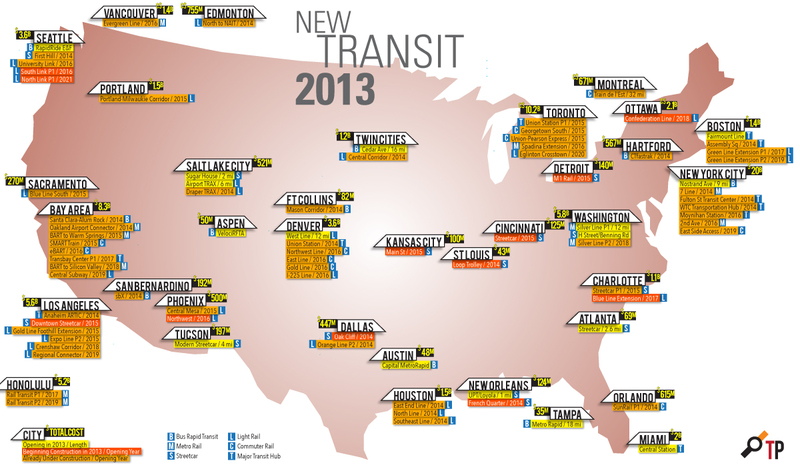 New Orleans uses heritage-style streetcars on its system. The St. Charles line — oldest continually running car line in North America — runs original, historic 1920s-era Perley Thomas cars. Rolling stock on other lines, including the Canal and Loyola lines, are replica cars constructed by a partnership of RTA and Brookville Equipment Corporation. Streetcars are broadly popular in New Orleans, and judging from a news report from WWL-TV, one could infer that there’s lots of support for the current extension project. Catherine Markel, owner of a wine store on St. Claude, emphasized that “revitalization of this corridor is important to me”, and she wouldn’t have opened her store unless she was sure the project was under way. RTA bus riders interviewed by in the TV report also were enthusiastic. Bus commuter Altra Lindsey said that having another way to travel between the Lower 9th Ward and where she needs to go would be a beneficial addition to her daily commute. “No one wants to stay here a long time waiting for the bus. If they had two forms of transportation things would move a long a little quicker…” Lindsey told the TV reporter.